In to the dark parks we go! 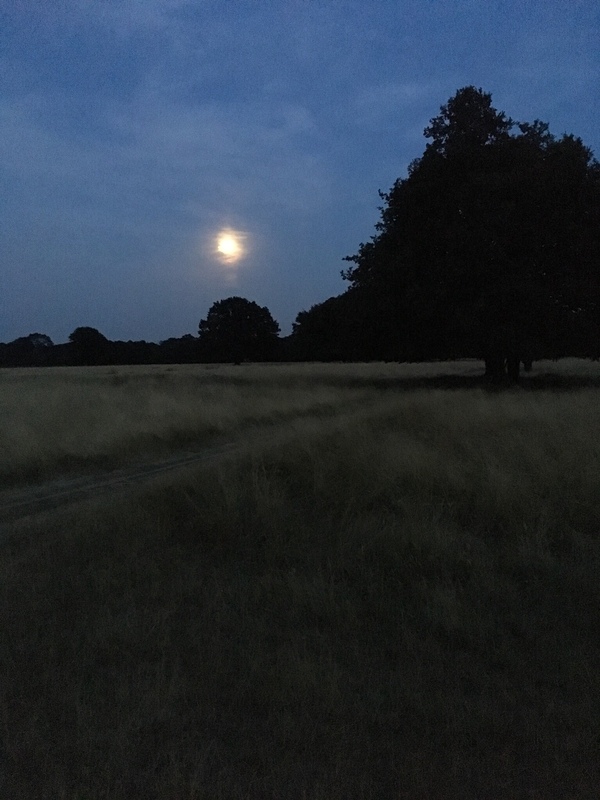 Coming back from Headway meeting, the train went no further than Teddington so thought since it was getting dark at this point and no easy bus route home, I’d walk though Bushy Park, only 2 miles, but certainly by end fully dark. Be a good test of how my dark balance/vestibular system was doing, from having the Physio ie improbable things by young women at StGeorges. Lots of floaty/world is spinning and a bit of wandering off line. But no Zombie walk nor falling, few minor missteps, really chuffed! Don’t get me wrong I’m exhausted I had to focus on my walking the full hr or so it took me, but I couldn’t even do this a few months back so I’m very pleased! Previous Previous post: Hampton Pool/2nd Club Run and heatwave!